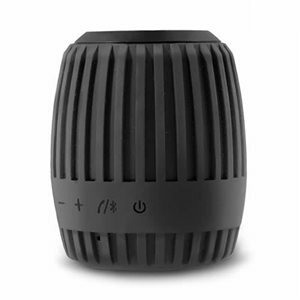 The PSYC ARK Bluetooth speaker can provide protection from heavy rain and most wet weather conditinos; ha arubber case that protects it from wet conditions making it ideal for outdoor camping, used near a pool or in a shower. The PSYC ARK features Bluetooth for it's main connectivity but also mcontains two alternative audio inputs:Aux or Micro SD slot. Features a built in microphone which you can use to answer calls from friends or family without having to disconnect from the phone.